Should you have a joint credit card account with your spouse? 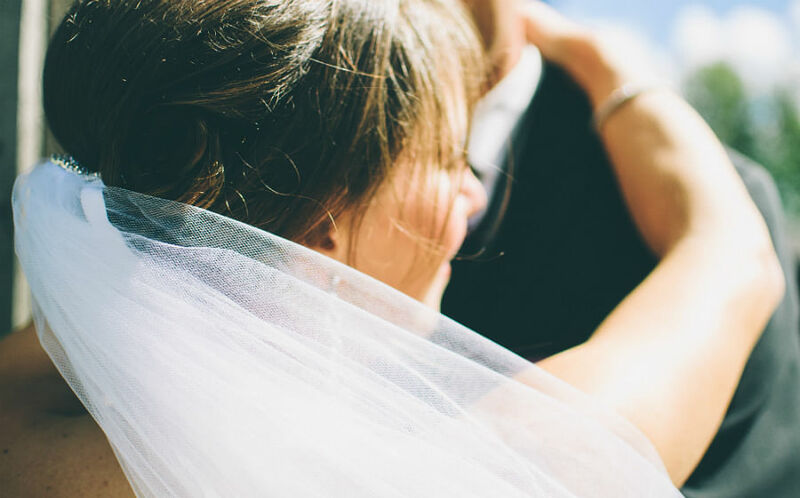 For both long-term couples and newlyweds, there has been an unending debate around whether consolidating their finances is ultimately a good move or not. Certainly, this is a very complex issue involving various factors and preferences that are emotional and practical, neither of which can be disregarded as "unimportant." While sharing a credit card could be seen both as a nice gesture, it could also be regarded as the first step onto a slippery slope. In terms of emotional aspects of combining two people's finances, we have nothing to add to the discourse; each couple must decide what works for them. However, we have found some practical arguments both for and against sharing a credit card account with your partner. Overall, there are 3 clear reasons why sharing a credit card could be a good economic move for couples. First and foremost, most supplementary cards charge a much lower annual fee than principal cards. In many cases, many supplementary cards are actually completely free, as we show below. Given this, a couple could save about S$100 to S$200 each year by sharing an existing credit card account via getting a supplementary card. This could be an especially wise move if one of the couples don't work, since most credit cards require an annual income of at least S$30,000 for the principal cardholder. Secondly, most rewards credit cards in Singapore provide the same rewards to supplementary card user as the principal cardholder. Since credit cards in Singapore provide a pretty high level of cashback and miles, couples in Singapore can easily rack up a lot of savings by using the same credit card account. Lastly, couples can more easily meet minimum spending levels that are often required for annual fee waivers or welcome bonus awards. For example, Citi PMV Card requires cardholders to spend S$7,500 within 3 months to qualify for its 21,000 bonus miles, while many other cards like OCBC 365 Card require S$10,000 of annual spend to qualify for its annual fee waiver. Most credit cards combine both principal card & supplementary card's spending for these requirements, making it very easy for couples win these bonuses. However, there are definitely some economic downsides to sharing a credit card account with your partner. The biggest of these is cap on benefits. Most cashback credit cards limit the amount of rebate a cardmember can earn in a given month, usually at around S$100 or below. Since most cards are designed with 1 person's spending amount in mind, it could be possible for couples to leave money on the table by continuing to spend on a credit card account that already maxed out on its rewards for the month. The same principle applies for other ancillary benefits like complimentary lounge access, which is usually capped at a certain number of passes per year. Secondly, a credit card account has one credit limit, no matter how many supplementary cards there are. Therefore, sharing an account would mean that each person's spending power ultimately quite limited, especially for the supplementary cardholder whose own limit is often fixed at S$1,000. Secondly, you want to try and get cards that require relatively high spending amount to qualify for certain benefits that are extremely valuable. A very classic example of this is UOB PRVI Miles Credit Card. This card charges an annual fee of S$256.8 and provides the highest mile rewards available in the market at 1.4 miles per every S$1 spent locally. Not only that, for those who are able to spend S$50,000 on the card annually, UOB waives this annual fee while also providing a 20,000 bonus miles every year, which combine for about S$460 of value annually. 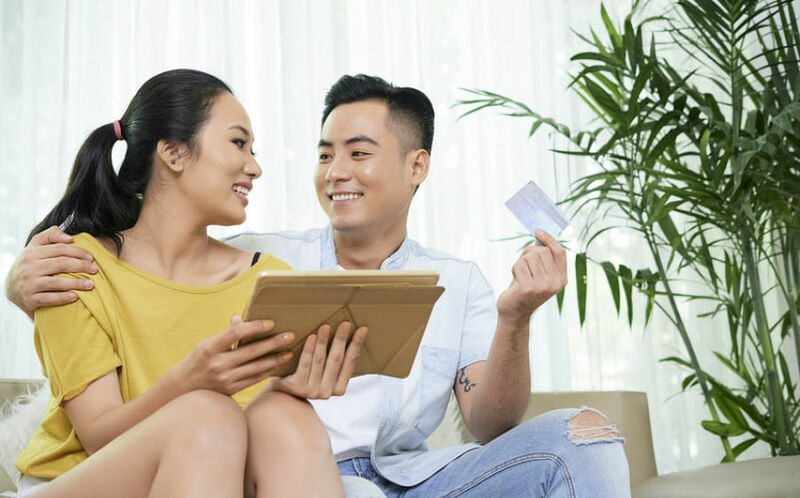 Given that the average household spending is about S$4,700 per person, it will be much easier for couples than an individual to satisfy the S$50,000 requirement and reap this huge reward. Lastly, couples with vastly different spending pattern should generally not share a credit card account. If one person tends to be a big shopper while the other only spends on dining, this couple can earn more rewards collectively earn more rewards by finding different cards that are specially catered for shopping and dining separately. For example, some of the best shopping credit cards provide 4 miles per S$1 spent on shopping, but only 0.4 miles per S$1 spent on everything else. On the other hand, some of the best dining credit cards provide 4-8% rewards on dining while providing almost nothing on shopping. If such a couple were to share a card, they would be losing out on a lot of potential rewards that they could've easily earned. This article was first published on ValueChampion Singapore. Buying a wedding gown package?